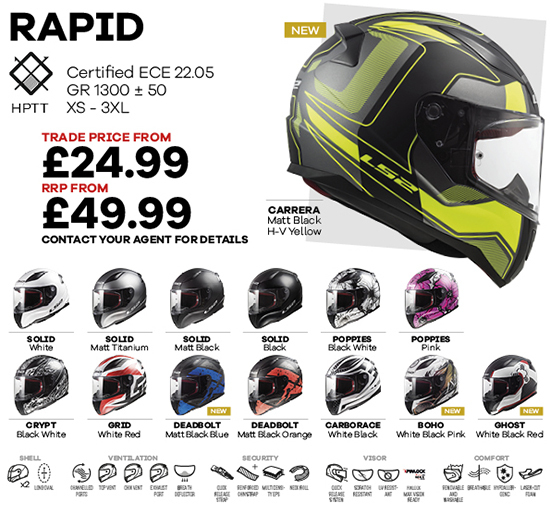 With retail prices starting from £49.99, LS2's full-face Rapid helmet offers unbeatable value for money and, delivered direct to your showroom via their UK warehouse, you get big margins too. The Rapid has a High Pressure Thermoplastic Technology shell and tips the scales at just 1300g. Its quick-release visor is Pinlock-ready and the removable liner is made from hypoallergenic technical fabrics that wick moisture that keep the wearer cool and comfortable. Check out the three exciting new graphics – Deadbolt, Boho and Ghost. 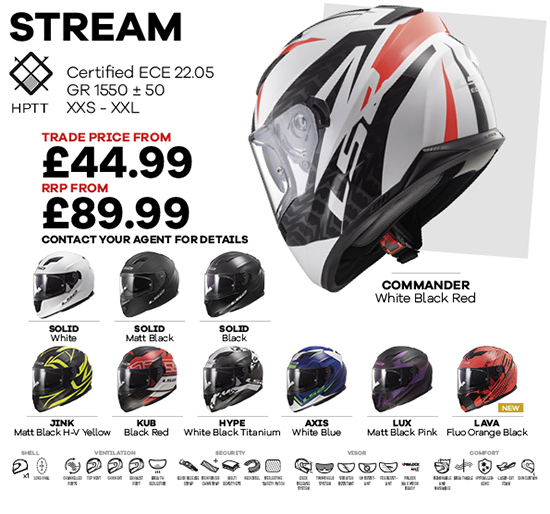 For customers with a bigger budget, but who want to stay under £100, the Stream shares the same features as the Rapid, but with a Multi-Density EPS lining, fog-resistant visor and drop-down sun shield as standard. There's a hot new Lava graphic for 2019 too. 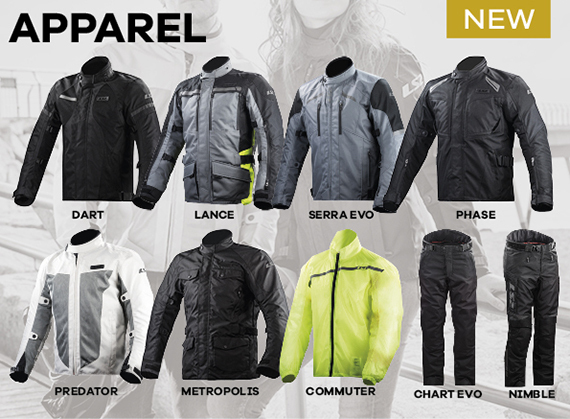 And if you're looking for a fresh range of top-quality motorcycle jackets and jeans, in the latest styles and priced to sell, be sure to to consider the new LS2 Apparel collection. Designed in the company’s Barcelona HQ to reflect the latest trends, like its helmets, LS2 clothing is supplied direct to the dealer, so your customers get great value for money and you enjoy generous margins. Call the trade hotline or contact your area sales manager direct to find out more.